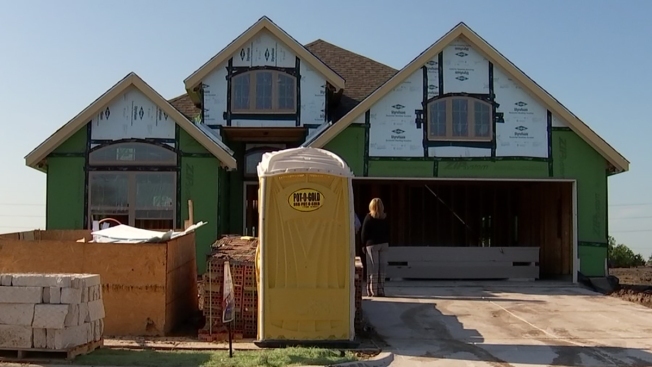 Is Collin County's Housing Market Cooling Off? "On the market today, and gone tomorrow": that was the overall housing market trend across North Texas. Last year, listing prices continued to skyrocket and sellers in Collin County were making a killing. "In some particular neighborhoods every house that has been listed on the market was gone in 10 to 20 days," said Rodney Anderson with Supreme Lending. A new report released by Trulia revealed, in some cities, home prices may have flat lined. "This is especially true if a city has experienced fast and extreme growth, like Frisco. Home listing prices have plateaued for homes $400,000 and above. These homes are sitting on the market a little bit longer, and I'm even seeing some sellers negotiating closing cost for the first time in a long time," said Anderson. The reason for the shift points to high home inventory, and buyers who are a lot more budget conscious. “Some sellers are getting a little bit anxious, but no one is losing," said Anderson. "People still have a lot of equity built into their homes. This is good news for those first time home buyers who have felt like they have been in a big disadvantage for several years. Now those first time home buyers should go out looking. Those move-up buyers should go out looking and I think that people will finally get an idea that some deals are being made for the first time in a long time." “This good for the market," explained Anderson. "The stabilization makes for a good healthy market for both sellers and buyers."